Hot porridge and Nutella, it’s an unbeatable combination. When the chocolatey spread is swirled through creamy oats, something wonderful happens. 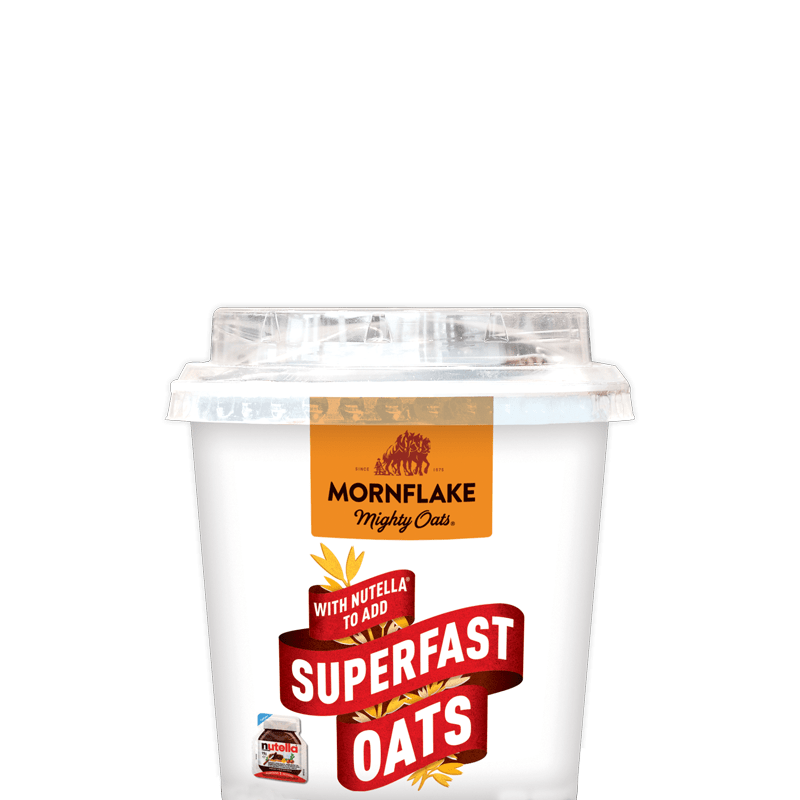 There’s no sugar in the Superfast oats breakfast pot, so you can choose the sweetness in yours by adding as much or as little Nutella as you want. 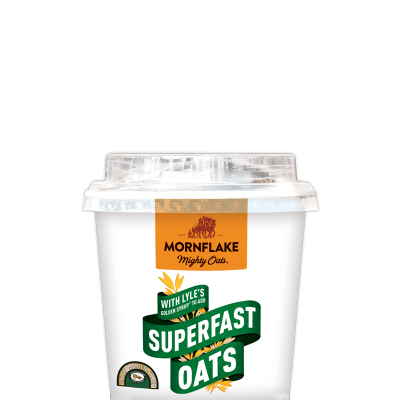 Mornflake OATFLAKES (73%), Dried Skimmed MILK. Nutella® Portion: Hazelnut Spread with Cocoa (Sugar, Palm Oil, HAZELNUTS (13%), Skimmed MILK Powder (8.7%), Fat-Reduced Cocoa (7.4%), Emulsifier: Lecithins (SOYA), Vanillin.